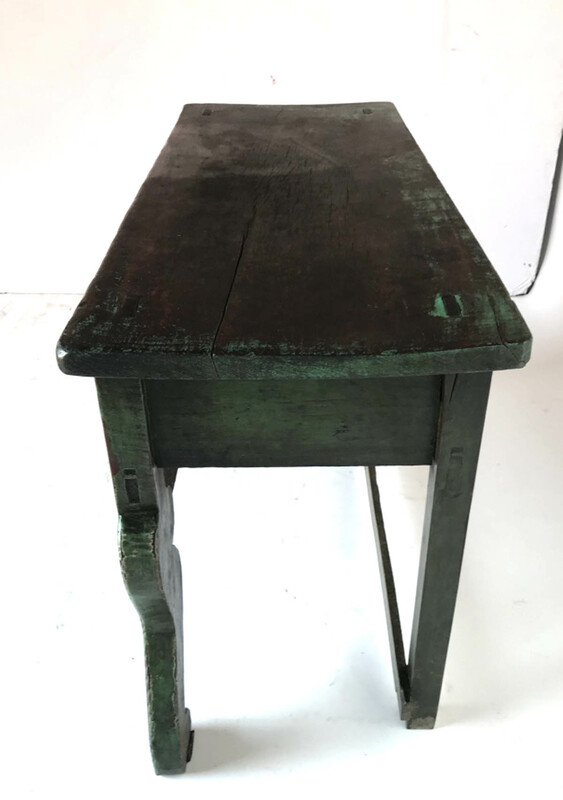 Lion’s Foot table from the Highlands of Guatemala, also called a Nahuala (animal spirit) table. 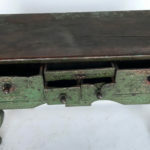 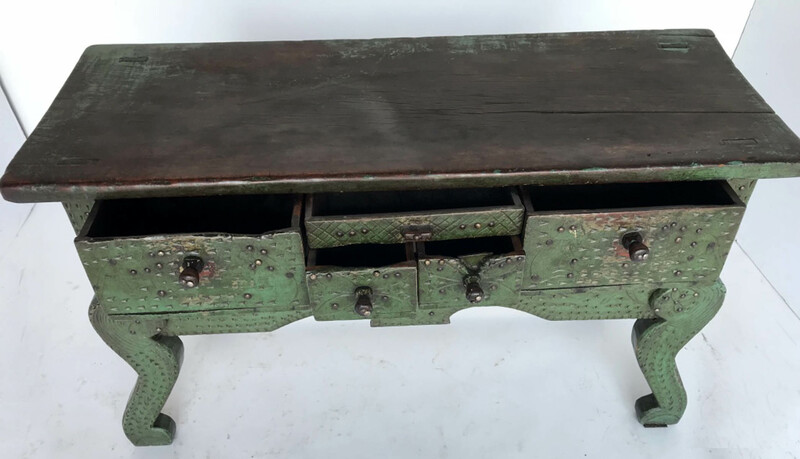 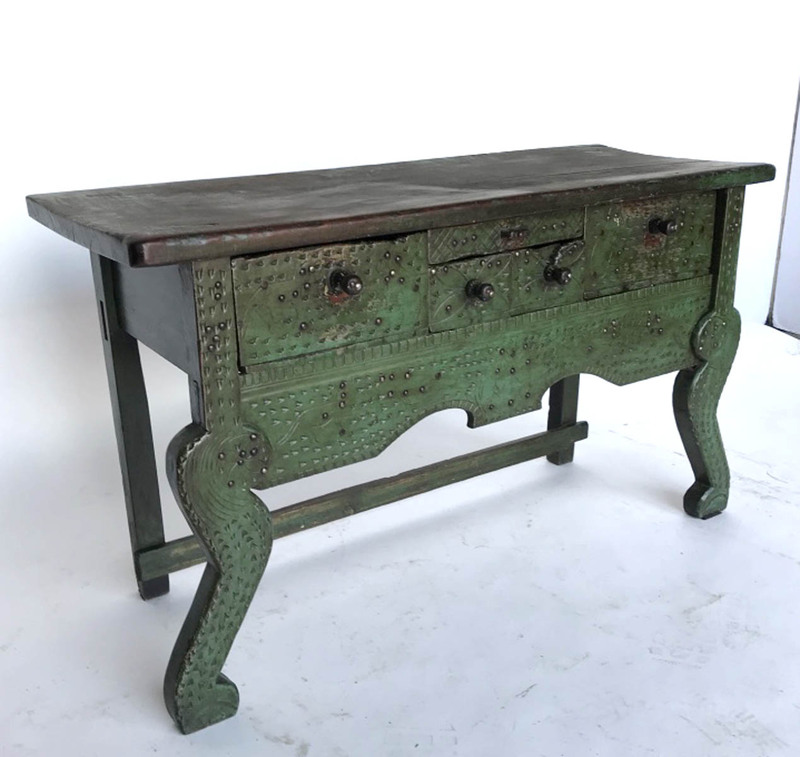 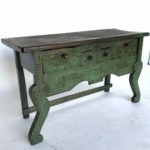 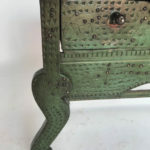 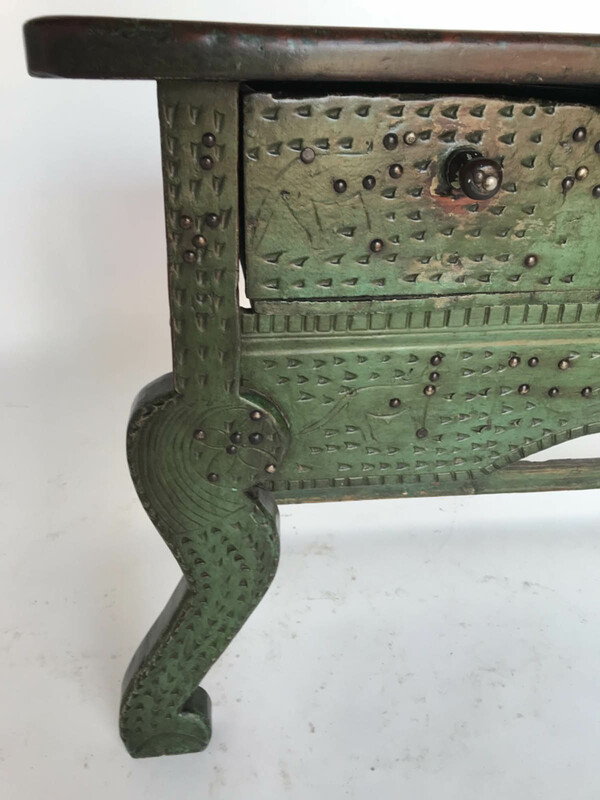 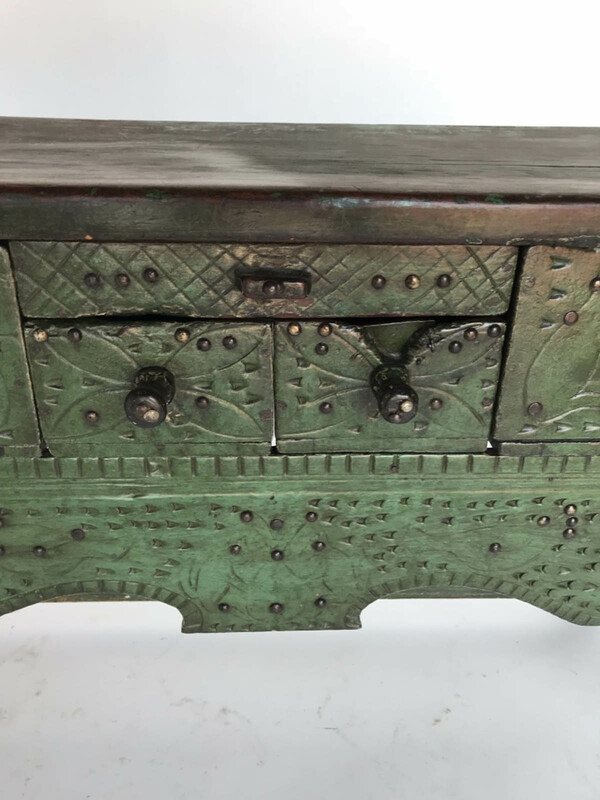 This particular example is a wonderful green, hand carved and studded with tacks. 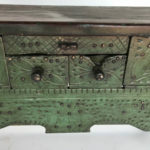 Whimsical and playful, it is a great example of the work of Guatemalan folk artists. 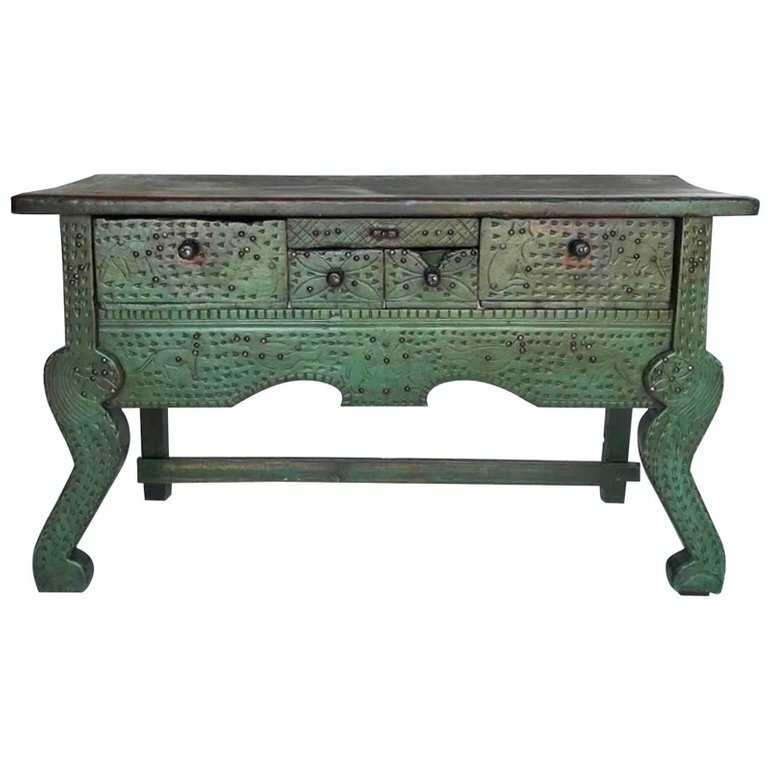 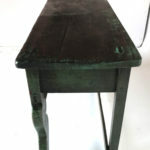 Sturdy and functional, this console table has good height of 28. We are happy to offer this antique Guatemalan piece which are becoming more difficult to find.